August 30, 2018, California State Assembly passed the resolution of AJR44 with 75 votes in favor, 1 vote against, and 4 abstentions, supporting California and China to promote the cooperation in the areas of people-to-people exchange, trade, climate change, education, tourism, technology, innovation, as well as green development, and urges the President of the United States and the Congress of the United States to support actions that further strengthen economic links between the United States and China. AJR44 was authored by California Assembly member Evan Low who represents Silicon Valley. 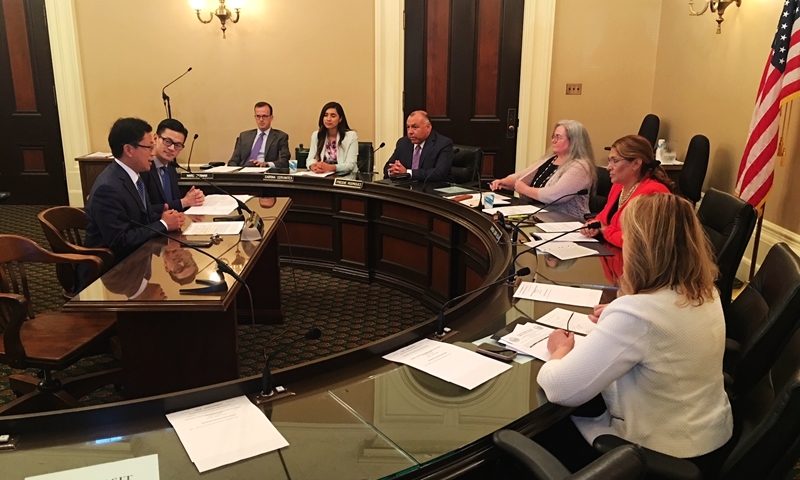 Earlier, the Committee on Jobs, Economic Development, and the Economy of California State Assembly held a hearing on AJR44 on August 27, and passed it with 5 votes in favor, 0 vote against, and 2 abstentions.